The outcome of all the accidents leaves devastating impact on life of victim. Some unfortunate outcomes are repairable while some are simply not. Furthermore, there is significant loss incurred in medical bills, daily wages and repair/damage. With assistance of qualified legal counsel, you can fight for your rights and pursue lawsuit for proper compensation. Why A Veteran Truck Accident Lawyer Is Needed? Rising cost of medical expenses, incapability to work due to accident and repair cost of damaged vehicle can be simply unmanageable. Victims may face permanent or long term setbacks economically and mentally. In such case, victim feels dejected and flabbergasted on what to do and whom to approach. How to pay for medical bills and resume normal livelihood? How to carry the lawsuit against giant insurance companies without experience? At such an instance, veteran ‘truck accident lawyers’ as that with Ledger law can come to rescue. Our team of Truck Accident Lawyer’s work with due diligence on your case to find out root cause of the accident and can motivate you to move towards right direction. We gather crucial information and investigate the case thoroughly be it live witness or statements and begin to replicate the actual scenario to come to favorable conclusion. Who is actually responsible for accident – truck owner or driver’s employer? Lawyers at ‘Ledger Law’ concentrate their practices in truck-accident cases and are thoroughly schooled in truck-accident science and law. Our trucking-accident attorneys are well-versed with safety regulations and law practices applicable for truck accidents governing in area of vehicle safety, vehicle inspections, trucking-company and driver negligence, and the hiring, training, and supervising of drivers. Any violation of anyone of above by a company/employer or driver will be treated as negligence and liable for action to recover expenses for damages or injuries or severe penalties for death. 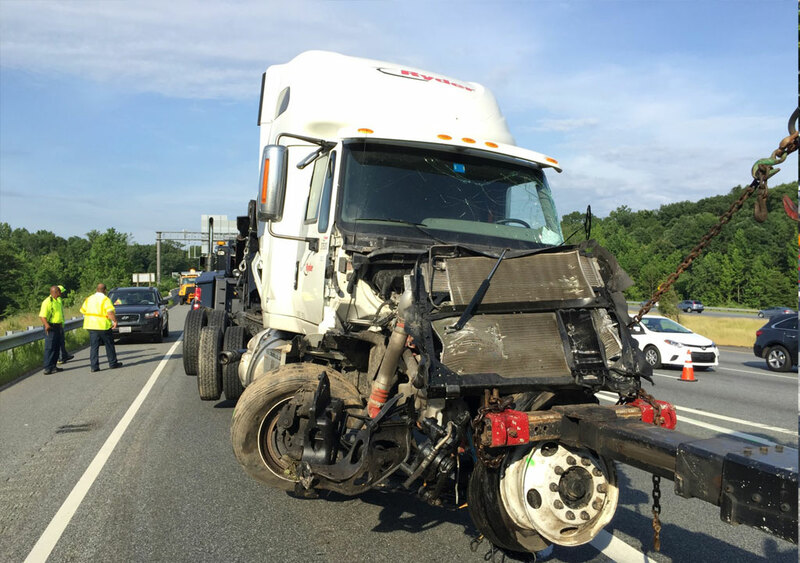 In addition to comprehensive understanding of these complex federal and trucking regulations, our truck accident attorney’s believe in maintaining human relationship to empathize your situation and help you as much as possible. We will work on your case on contingency basis i.e. “no fees until you win” and free consultation. Get in touch and free yourself from all the worries and concerns. Contact us now!